Magnetic resonance imaging (MRI) is a noninvasive technique used for diagnostic imaging. Image segmentation is one of the primary tasks in image analysis. In brain MRI analysis, image segmentation is commonly used for measuring and visualizing the brain's anatomic structures; analyzing brain changes; and delineating pathologic regions. Therapeutic uses of MRI in the brain also exist. For example, MRI-guided radiotherapy is frequently used for brain tumors. MRI is also used for neurosurgical planning and neurointerventional radiological procedures, although specialized nonmagnetic equipment is required for the latter. Therapeutic uses of MRI in the brain also exist. For example, MRI-guided radiotherapy is frequently used for brain tumors. MRI is also used for neurosurgical planning and neurointerventional radiological procedures, although specialized nonmagnetic equipment is required for the latter. There are few contraindications to MRI. Patients who are unable to lie still, such as many children, [7, 8] patients with movement disorders, or patients in severe pain, also might be unsuitable for an MRI and can require sedation or general anesthesia. Similarly, those with severe anxiety or claustrophobia might require mild sedation or anxiolytics. MRI is also unsuitable for emergency situations owing to its longer scan durations, unless necessary. While laboratory tests in advance of MRI are not usually required, a kidney function assessment and pregnancy test might be indicated if contrast is to be administered. Serum creatinine levels should be measured to determine the extent of renal insufficiency and can be particularly important in determining the extent of AKI. Serum creatinine evaluation is also useful in chronic situations in which the eGFR is unknown in order to determine the stage of renal failure. A qualitative beta-HCG test can be useful to confirm pregnancy in uncertain situations. Use of gadolinium-based contrast agents can be avoided accordingly. Subsequent to the scans, anywhere from 100-1000 high-resolution 2-dimensional images are produced directly in multiple planes. Three-dimensional reconstruction is also possible. Quantitative analysis may also be conducted, allowing the identification of regions of interest (ROI). These images can reveal pathology or abnormal anatomy and can further guide management of the patient. Allergic reactions to gadolinium contrast agents are rare. Idiosyncratic reactions are more common. Siemens AG. Hendrix, Alexander. Magnets, Spins, and Resonances: An Introduction to the Basics of Magnetic Resonance. Erlangen. 2003. Despotović I, Goossens B, Philips W. MRI segmentation of the human brain: challenges, methods, and applications. Comput Math Methods Med. 2015. 2015:450341. [Medline]. Kondziolka D, Patel A, Lunsford LD, Kassam A, Flickinger JC. Stereotactic radiosurgery plus whole brain radiotherapy versus radiotherapy alone for patients with multiple brain metastases. Int J Radiat Oncol Biol Phys. 1999 Sep 1. 45(2):427-34. [Medline]. Schild, Hans H. Wayne, NJ. MRI Made Easy (Well Almost): Berlex Laboratories. 1992. Tocchio S, Kline-Fath B, Kanal E, Schmithorst VJ, Panigrahy A. MRI evaluation and safety in the developing brain. Semin Perinatol. 2015 Mar. 39 (2):73-104. [Medline]. Amis ES Jr, Butler PF, Applegate KE, Birnbaum SB, Brateman LF, Hevezi JM. American College of Radiology white paper on radiation dose in medicine. J Am Coll Radiol. 2007 May. 4(5):272-84. [Medline]. Woodfield J, Kealey S. Magnetic resonance imaging acquisition techniques intended to decrease movement artefact in paediatric brain imaging: a systematic review. Pediatr Radiol. 2015 Aug. 45 (9):1271-81. [Medline]. Biebl A, Frechinger B, Fellner CM, Ehrenmüller M, Povysil B, Fellner F, et al. Prospective analysis on brain magnetic resonance imaging in children. Eur J Paediatr Neurol. 2015 May. 19 (3):349-53. [Medline]. Alorainy IA, Albadr FB, Abujamea AH. Attitude towards MRI safety during pregnancy. Ann Saudi Med. 2006 Jul-Aug. 26(4):306-9. [Medline]. Kitajima K, Maeda T, Watanabe S, Ueno Y, Sugimura K. Recent topics related to nephrogenic systemic fibrosis associated with gadolinium-based contrast agents. Int J Urol. 2012 Sep. 19(9):806-11. [Medline]. Questions and Answers on Gadolinium-Based Contrast Agents." U.S. Food and Drug Administration. U.S. Department of Health and Human Services Web. 31 May 2012. 13 Aug 2009. [Full Text]. Samardzic D, Thamburaj K. Magnetic resonance characteristics and susceptibility weighted imaging of the brain in gadolinium encephalopathy. J Neuroimaging. 2015 Jan-Feb. 25 (1):136-9. [Medline]. Fiebach JB, Schellinger PD, Geletneky K, Wilde P, Meyer M, Hacke W. MRI in acute subarachnoid haemorrhage; findings with a standardised stroke protocol. Neuroradiology. 2004 Jan. 46(1):44-8. [Medline]. 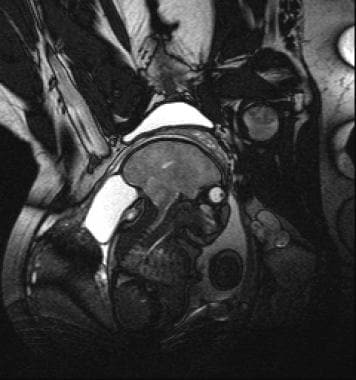 MRI of the Head. Radiologyinfo.Org: The Radiology Information Resource for Patients. American College of Radiology. Radiological Society of North America. 13 July 2011. Web. 31 May 2012. [Full Text]. Head coil. Courtesy of Lee Ryan, PhD, McKnight Brain Institute, Department of Psychology, University of Arizona.